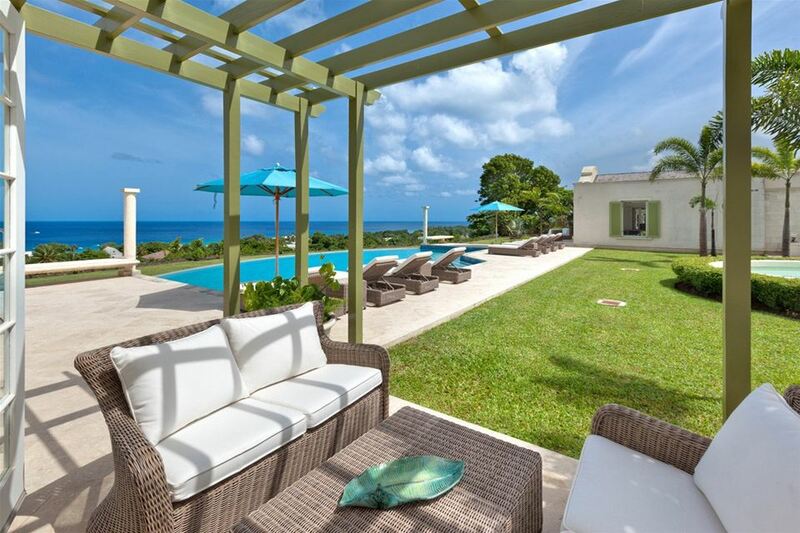 The spectacular Villa Marsh Mellow is situated on a ridge overlooking the Platinum Coast of Barbados and out across the sparkling Caribbean Sea. 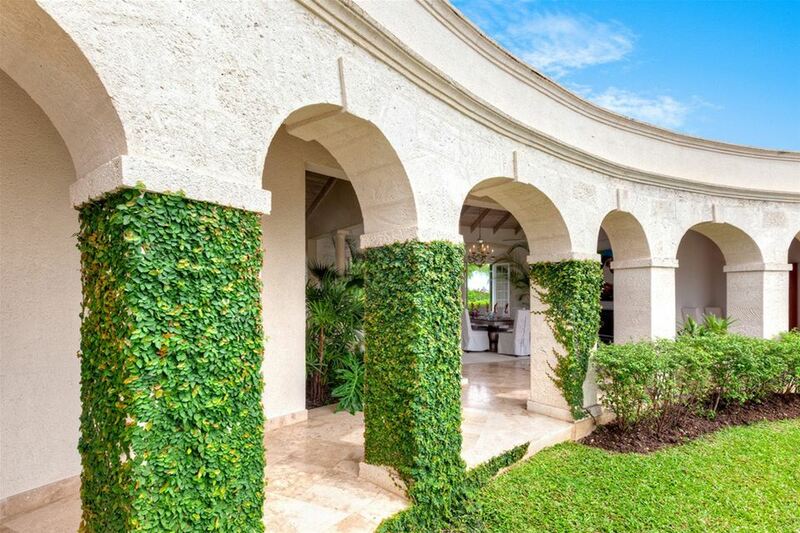 The property is uniquely designed in a half moon crescent shape with ivy covered Italain columns and arches. Each of the rooms throughout the villa has an enchanting panoramic view of the sea. Guests are welcomed into a central entryway leading into an open air living room overlooking the garden, swimming pool and the ocean. 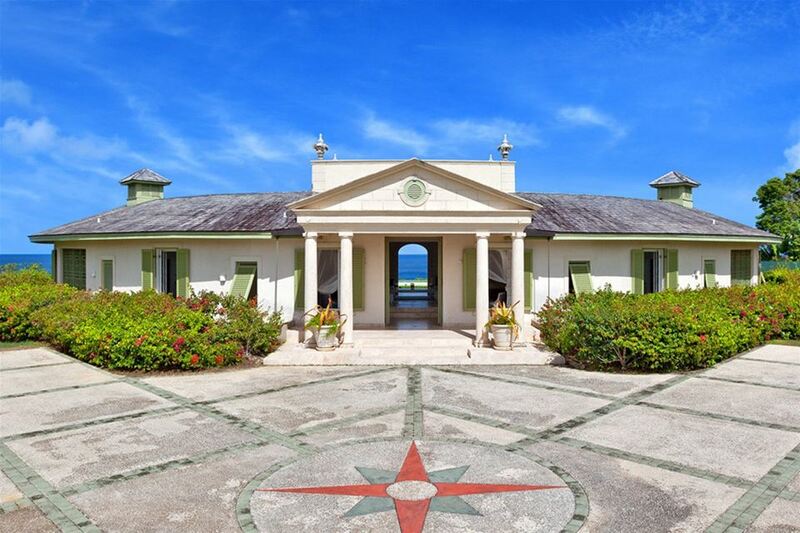 The master bedroom can be found on the northern tip of the crescent and includes access to the pool deck. The en-suite bathroom features a walk-in closet, bathtub and an outdoor shower. 2 additional guest bedrooms are located in the northern tip and include en-suite bathrooms with outdoor showers. One of the bedrooms can interconnect with the master bedroom if needed. The southern curve of the crescent is where the 4th guest bedroom is located which includes its own en-suite bathroom. 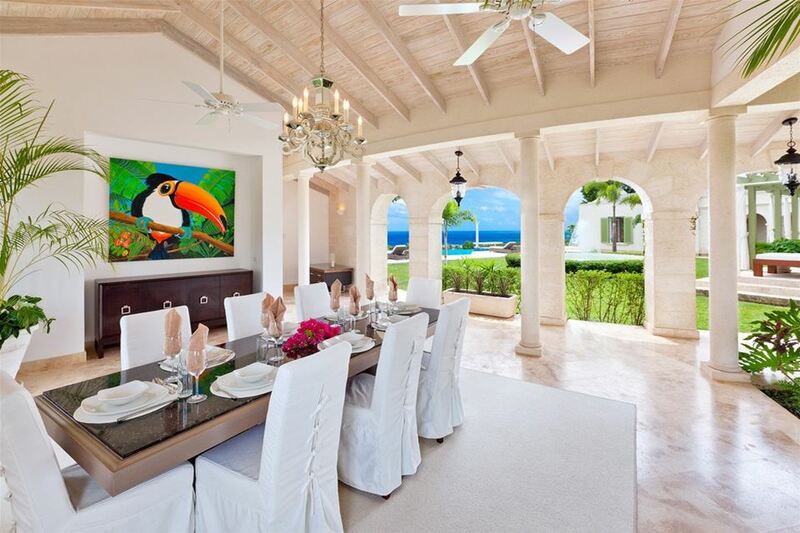 An open air dining room, indoor garden and a spacious fully-equipped kitchen complete the living spaces. 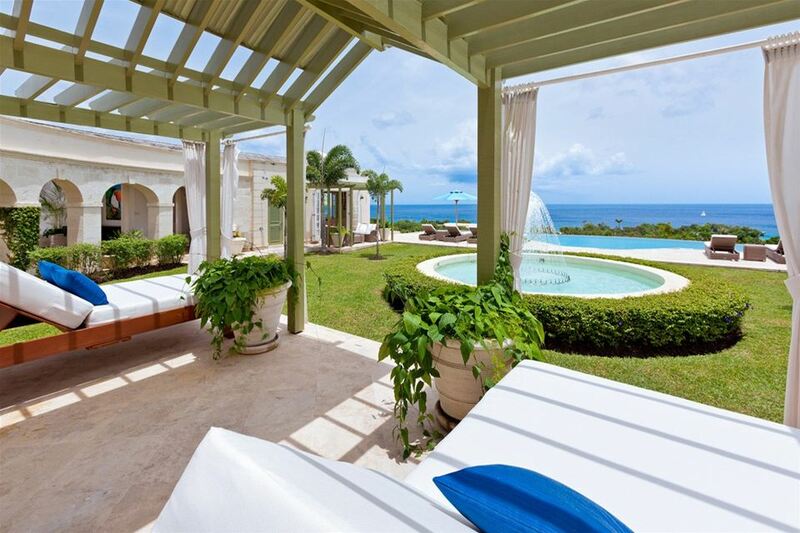 All rooms have access to the fabulous gardens and the pool deck where guests can relax with a rum cocktail or sun bathe.